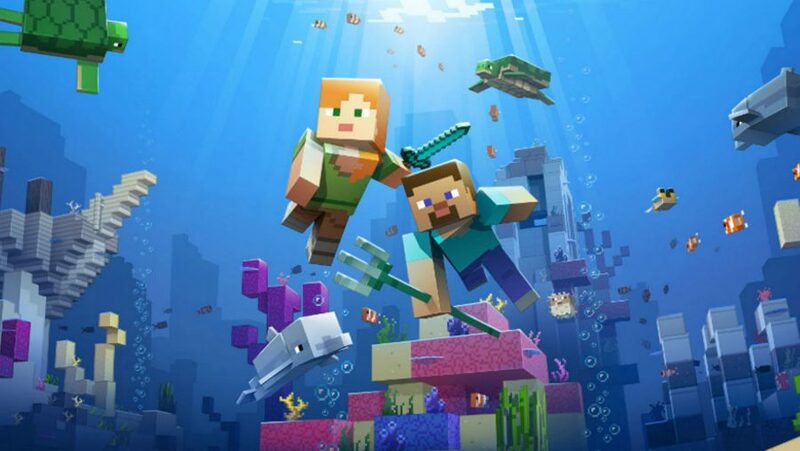 Are you looking for Minecraft: Windows 10 Edition seeds? Need the best Minecraft PE seeds? Well, you have come to the right place. The Windows 10 version of Minecraft is different to the normal PC version of the game, and thus your traditional seeds do not work. This is because the Windows 10 edition is actually Minecraft Pocket Edition, as seen on mobile. That means you need different seeds to get the right results. If you’re new to the world of Minecraft PE seeds then let us first walk you through how to use these neat codes. All you need to do to generate a fresh world is click New on the main menu, which brings you to a window where you can name your new game and input a seed code. All that’s left to do is hit the Generate World button and explore the environment you find yourself in. So if you’re looking for a great Minecraft PE seed to start your adventure, what should you type into the seed box? Let us be your guide with our handy list of the best Minecraft Pocket Edition seeds. Not far from where you spawn in this Minecraft PE seed you will find a sizeable village complete with a dock, a pool of lava, and a blacksmith. The village will also be on fire by the way, so sort that out, sharpish. Look out for a nearby cave system that houses a monolithic subterranean waterfall, another lava pool and six easily accessible diamond blocks. 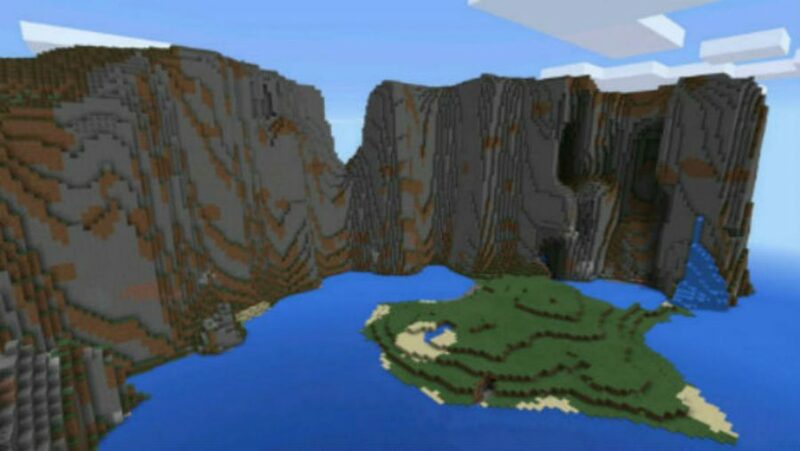 Finally, a seed for those that like their cliffs jagged, foreboding, and a bit all over the place. 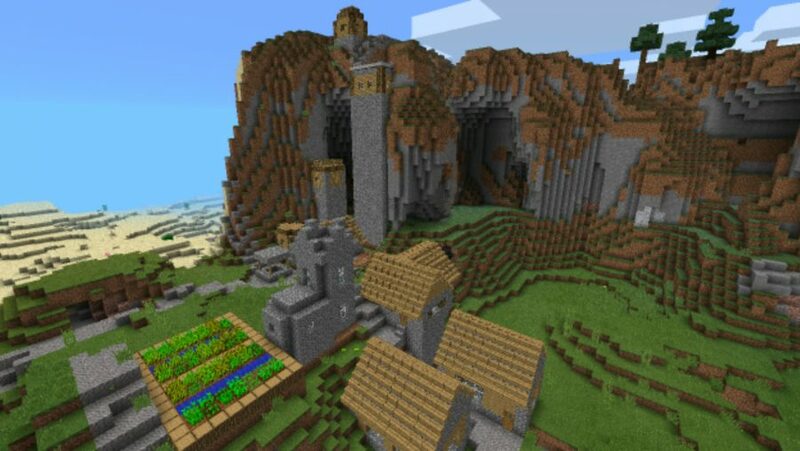 This Minecraft PE seed will spawn a collection of mountains, biomes, and cool natural features: it is ideal for Minecrafters looking to make an epic island fortress. With enormous cliff faces, lava flows, waterfalls, and dozens of caves, you will have some serious exploring to do before bending the island to your creative will. Waterfalls are so last year; now it is all about magnificent columns of lava spilling from a sheer cliff face. This Minecraft PE seed offers more than just visual spectacle too – just do a little digging around the spawn point and you will quickly find an abandoned mineshaft packed with iron, coal, obsidian, gold, and diamonds. 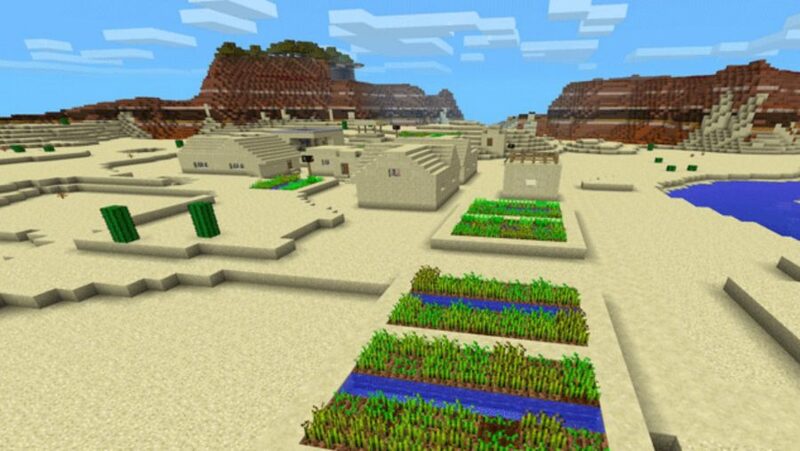 This Minecraft PE seed will spawn you in a beautifully constructed blacksmith’s village that borders both a desert and plain biome with a well hidden secret. Head to the village well and take the plunge to find the amazing castle that lies beneath. 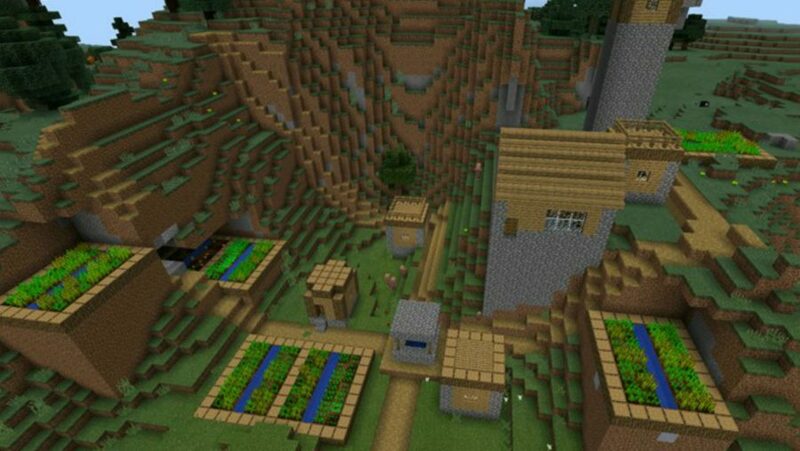 Minecraft PE seeds tend to produce a village that is perfect in every way. Not this seed, though. This one attempts to build a village on the side of a mountain, resulting in a house towering above everyone on an unreachable plateau and a crop garden buried in the side of the mountain. A unique place to set up camp, to say the least. Villages tend to be isolated little huts surrounded by miles of abandoned ground. 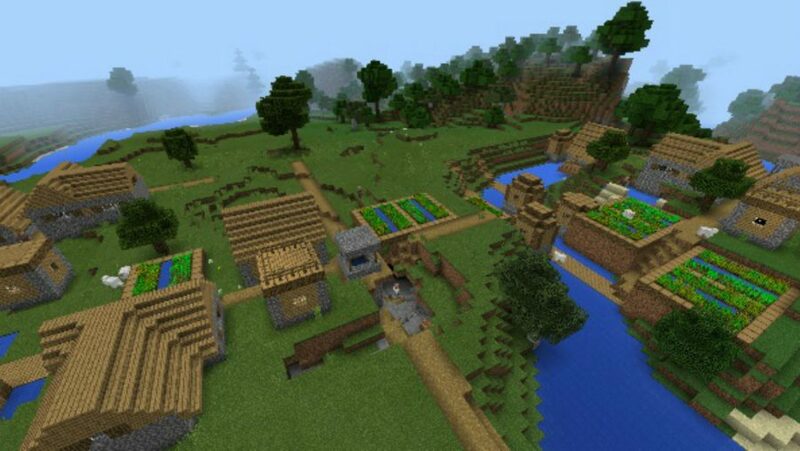 This Minecraft Pocket Edition seed is not content with tiny settlements: it combines three villages to make a bonafide town. It’s rare to find such a bustling area created entirely by the game, rather than players. 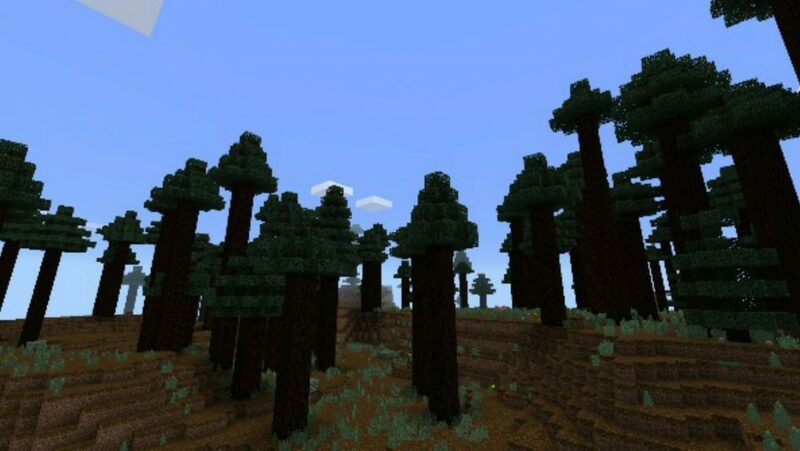 This Minecraft PE seed spawns what at first appears to be a fairly generic woodland biome. But look up, and you will see things are not as pedestrian as they seem. Floating islands is this seed’s unique selling point of infinity, and the foundations for your own skybase. 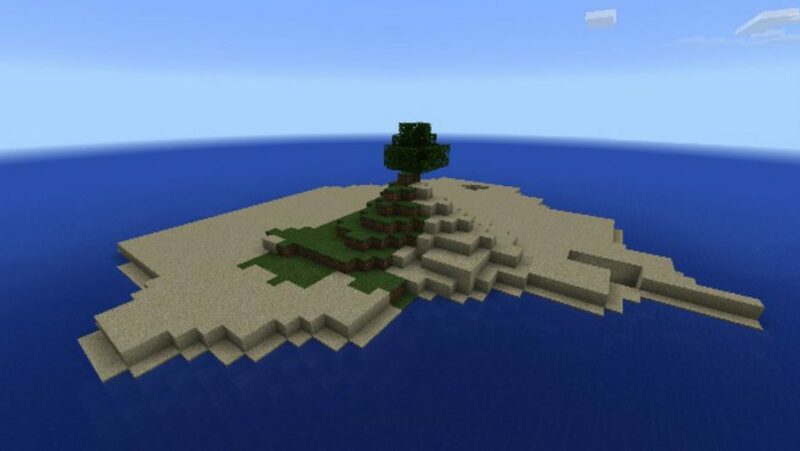 A brilliant Minecraft Pocket Edition survival seed, you spawn on a small desert landmass with nothing but endless ocean around you. However, underneath the island is a network of deep tunnels and caves filled with rare resources. 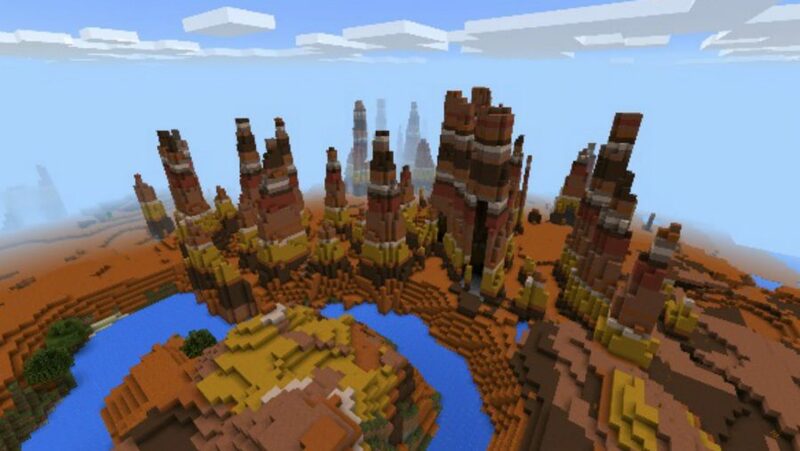 Mesa Spike biomes don’t exist, but this Minecraft PE seed will make you believe they do. Take a stroll into the Mesa biome straight ahead and the landscape will soon produce giant, multi-textured stalagmite formations. What could else could a mansion dweller possibly need? For everything else you need to settle into your brand new palatial abode, this seed has a village nearby for all the essentials. kick me from the hill is a swamp biome that’s bordered by an attractive, if extreme mountain environment, and it’s perfect for an afternoon hike. If that is not enough for you, a sleepy nearby village contains a blacksmith’s workshop stocked with emeralds, gold, and an iron helmet. You can spend forever hunting through a world for a good city. 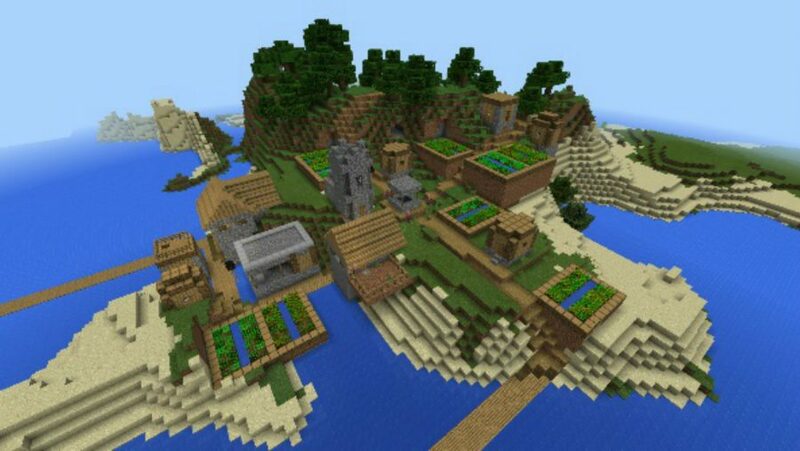 Save yourself time and use this Minecraft Pocket Edition seed to spawn on top of the mother of all villages. 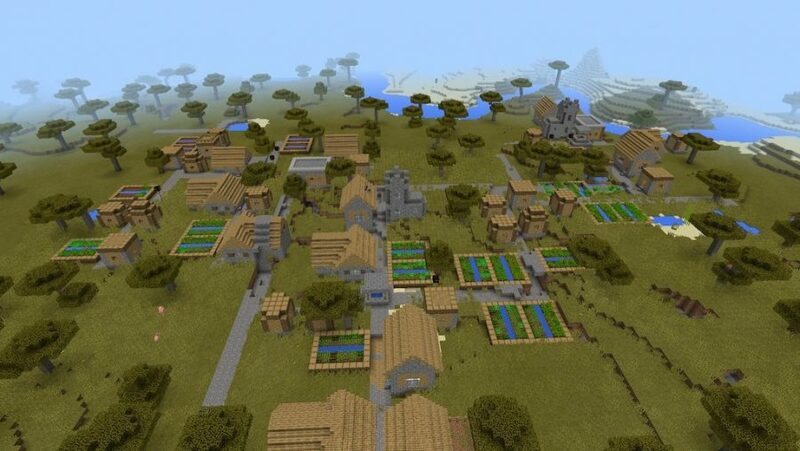 With multiple houses, gardens, smithies, and churches, this is a real Minecraft Metropolis. 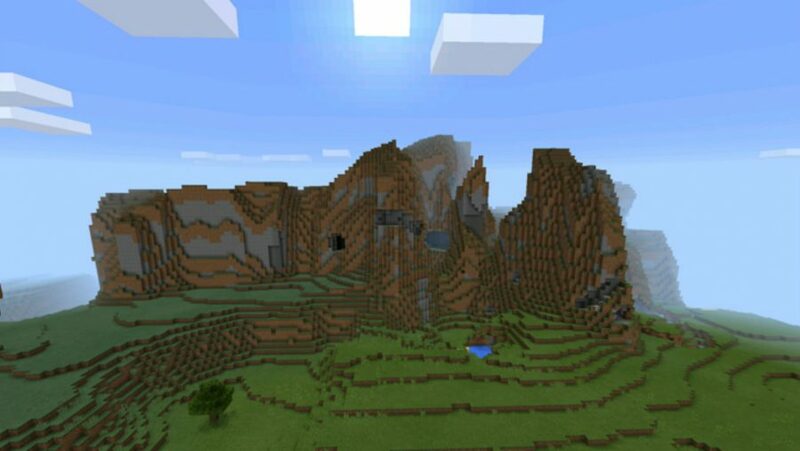 Load this Minecraft Pocket Edition seed and you’ll spawn by a desert village situated on the edge of a mesa biome. Jump down the nearby well and start digging to find a stronghold with an End portal. A field of towering ice spikes overlooks a small riverside village in this PE seed, providing the ideal base camp for a Frozen-inspired adventure. You would think that this MCPE seed would generate an infuriating game, but instead candy crush saga crafts a beautiful set of hollowed-out mountains, complete with epic overhangs and flowing waterfalls. Explore a lovely snowy biome with towering ice spikes. The festive village on the edge can be a great starting home, too. 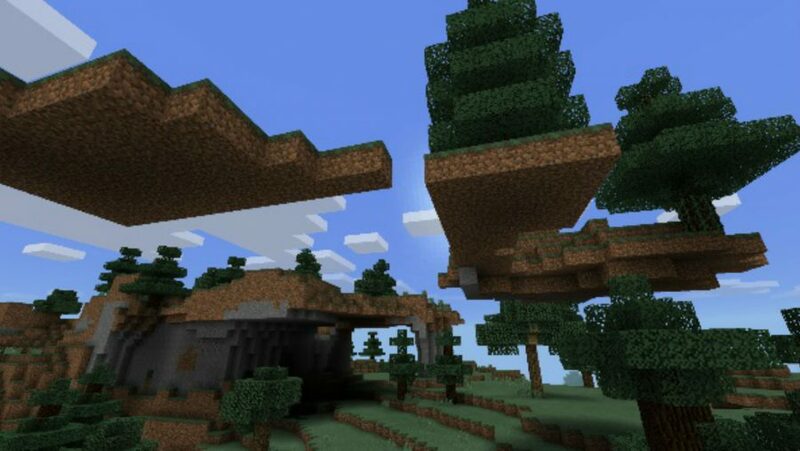 One of most charming elements of Minecraft is its giant mushroom biomes. 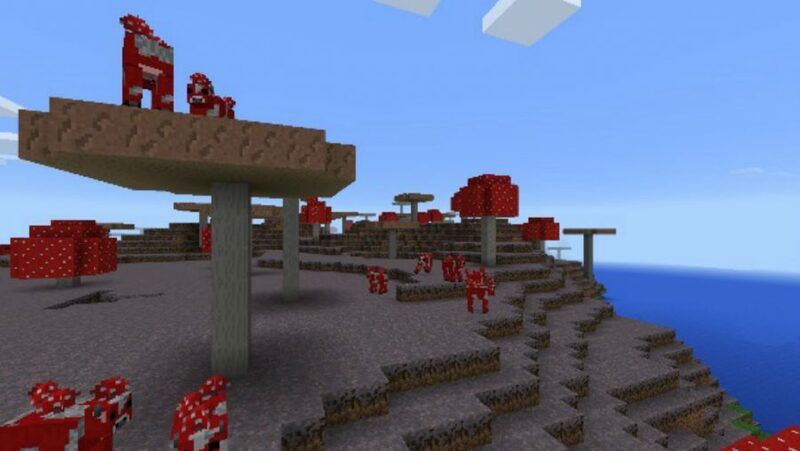 While most other biomes are content to sort-of-realistically recreate geographic landscapes, this Minecraft PE seed sprouts 6ft tall fantasy red-cap mushrooms. It also spawns you within walking distance of a mushroom peninsula packed with red, fungal bovines. What’s not to love? 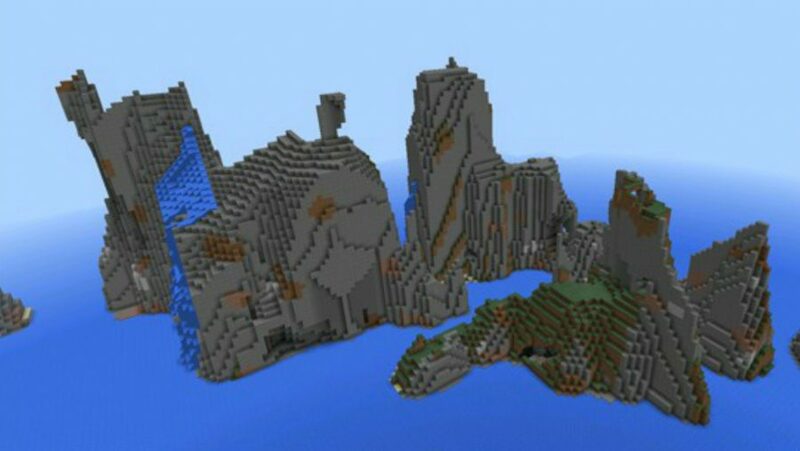 Head straight out to sea from spawn and you’ll find this wonderful mountain range jutting from the water’s surface. Nothing to find in terms of resources and materials, but the view is worth a hundred diamonds. Well, not really. The joy of discovery in Minecraft is finding usual things in unusual places. The novelty is strong with this seed, which dumps a village in the ocean. With wooden plank decks joining the buildings together, this is a lovely little sea-side port town in which to relax. 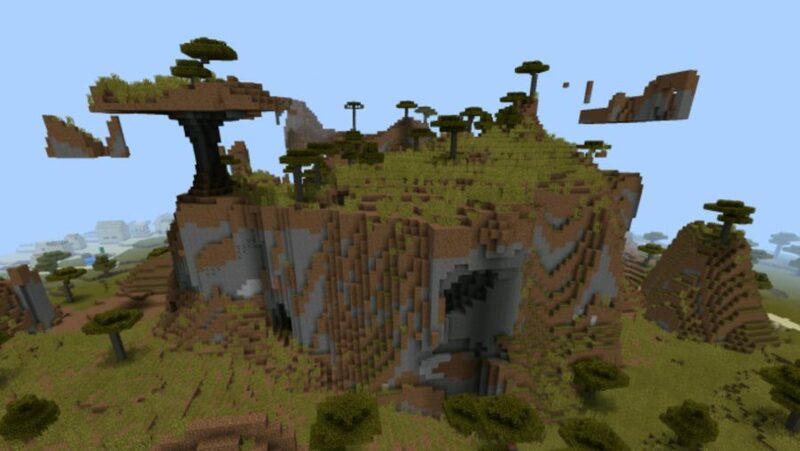 This seed spawns you on the edge of a jungle filled with towering taiga trees, making it the ideal seed for any budding Minecraft carpenter. You will not be running out of wood anytime soon. This seed generates a massive rocky mountain with a village nestled at its base. 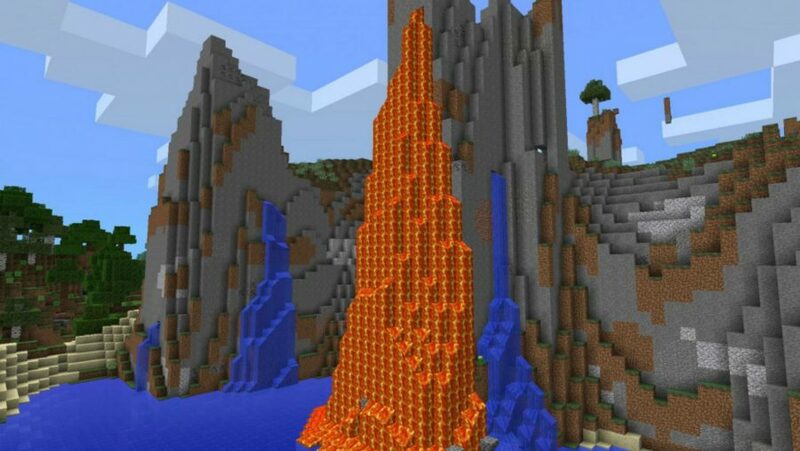 Surrounding it are a desert and swamp biomes, a huge mushroom, and a pit of scorching lava. 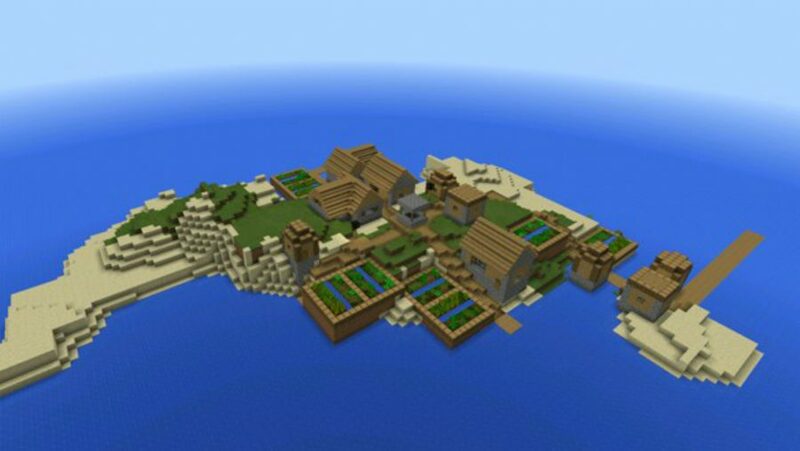 This is Survival Island with a twist: rather than marooning you on a desert island with only a tree for company, this MCPE seed generates an island with a whole village on it. Why survive alone when you can be accompanied by mute NPC villagers? 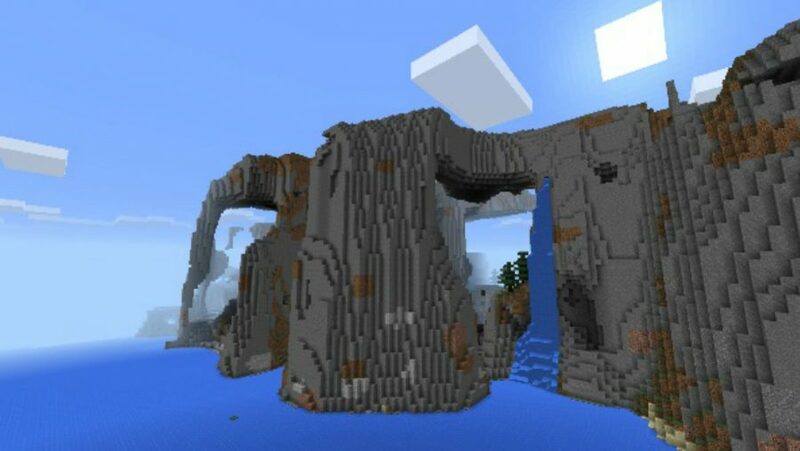 This seed produces a mountain biome with some amazing overhangs that are perfect for cliff-diving. 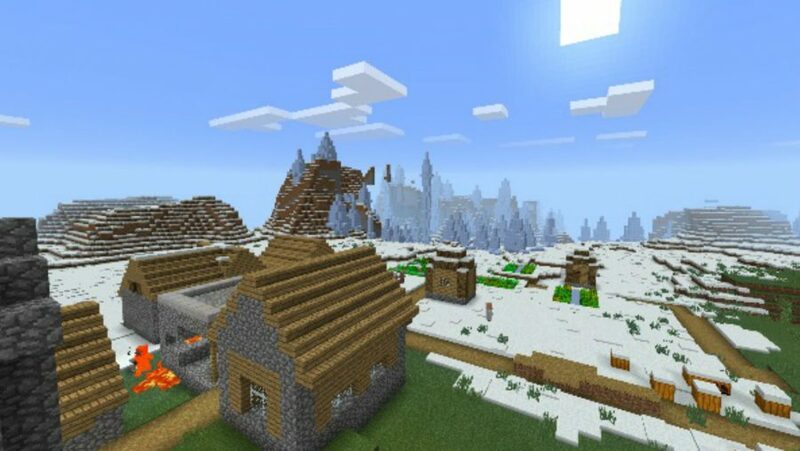 The mountains sit on the edge of a desert and savannah biome, where you’ll find two villages with a blacksmith. 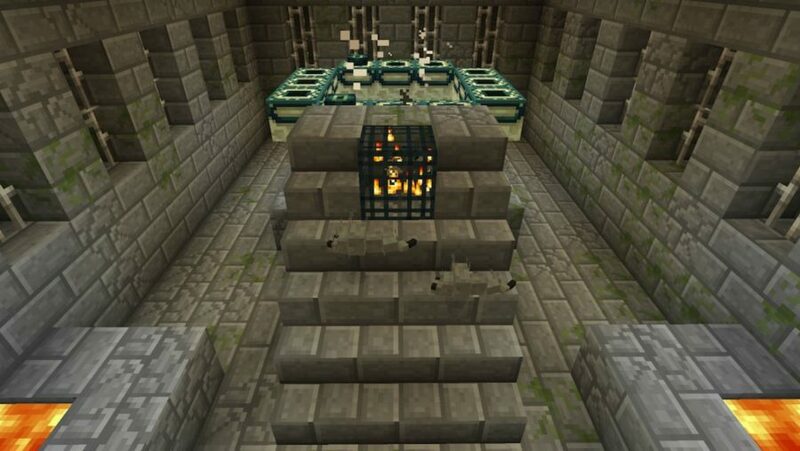 There’s iron equipment, obsidian, emeralds, and apples to be looted there, too. 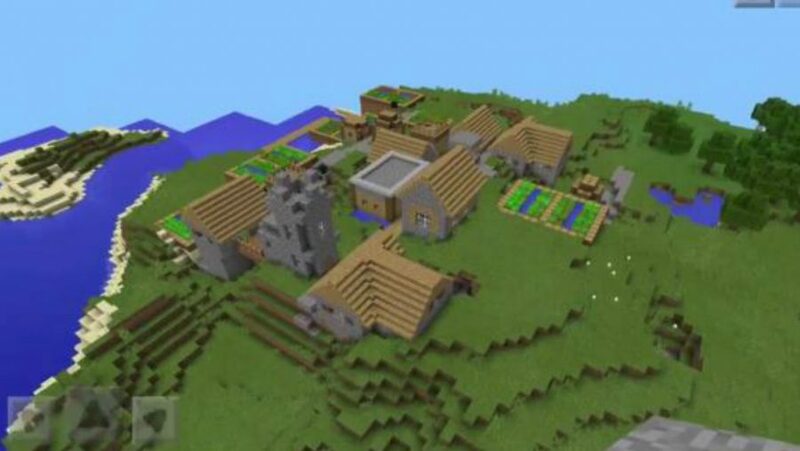 This seed produces a hillside village with all the amenities you could require from a residential district. However, the real star of this MCPE seed is that – if you do a little digging – you will find a stronghold within 64 blocks of your spawning location. Rife with villages just a few minutes from spawn, with the second one you encounter built above a mine shaft. If you’re looking for resources fast, a little bit of excavation work here will go a long way. There you go, you lucky things: the best Minecraft Pocket Edition seeds for mobile and Windows 10 players. If you’re a desktop crafter, however, you can discover even more automatically created, wonderful worlds with the best Minecraft seeds. 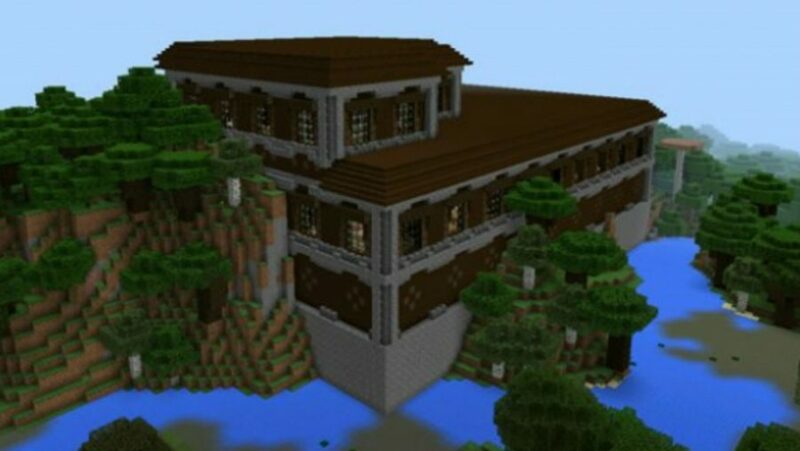 And, since there’s always more creative goodness to be had with Mojang’s seminal game, you can transport yourself to even more amazing locales with the best Minecraft maps. But, if you’ll excuse us, we’ll be enjoying a well-deserved rest in the nearest blocky tavern after a good day’s adventuring.